When I first started this job, my daughter Sophie was six-years-old (now she’s a giant 12-year-old). I look back on those days fondly - in part, because she seemed a bit more inclined to hang out with me (those were the days before she had fully discovered phones and videogames) and in part because she was wonderfully inquisitive about the goings-on in this job in only the way a 1st grader could be. It felt like every time we sat down for a meal together, it was a mini-civics lesson. I’ve shared this story before, but I was thinking of it again just this week. One morning, Sophie and I were having breakfast together before I had to leave for a town hall meeting. In a nutshell, I believe that explains some of the problems with the federal budget. It’s important that I hear from the folks I represent. I’m a real believer in people-power, and I’ve made it a high priority to be available, accessible, and accountable to you. In this newsletter, I’d like to give a recap of some of the most common questions I received. Can America Be Done With Government Shutdowns Now? In short - I sure hope so. There are diverse opinions in our region, but one thing folks are united on was this - government shutdowns are really dumb. Shutdowns are bad for federal workers, for taxpayers, and for our local economy. The Congressional Budget Office recently released a disheartening report highlighting the costs: the shutdown caused an $11 billion reduction in GDP, $3 billion of which won’t be recovered. Many federal workers struggled to pay the bills without compensation for their work, and the effects of economic uncertainty on folks throughout the shutdown is difficult to fully account for. Private sector businesses also lost profits that cannot be recovered. We can’t let this happen again. Our federal workers deserve better than a government that doesn’t pay them because it is shut down over a policy disagreement. As you know, on January 25, the President and leaders from the House and Senate finally reached an agreement on a temporary strategy to reopen the government. While this fix only provides funding through February 15th, I’m glad that this action restores backpay to federal employees and gives Congress the opportunity to address important issues facing our nation - including border security and a long-term budget solution. There are ongoing negotiations on a spending bill in hopes of resolving some of these issues and averting another shutdown. Beyond that, though, there are some efforts to prevent government shutdowns from happening ever again. I shared some thoughts on this with TIME Magazine last year, and you can read my ideas here. Is There A Way To Exempt The Coast Guard From These Shutdowns? Among the most outrageous impacts of the shutdown was the fact that members of the Coast Guard went without pay. This is completely unacceptable. Ten days ago, I had the honor of sitting down with Coast Guard members out in Westport to discuss how the shutdown impacted their families. The stories I heard affirmed to me that this should never be allowed to happen again. With that in mind, I have co-sponsored three separate pieces of legislation that would protect the Coast Guard, including the Pay Our Coast Guard Act (H.R. 350), the Pay Our Coast Guard Parity Act (H.R. 367), and an appropriations bill (H.R. 421) that would fund the Coast Guard while the government is shutdown. Can We See Some Forward Progress On Border Security? I also believe there’s value in having a real debate about immigration policy - including border security. I’ve long advocated for enhanced border security as a component of any comprehensive immigration reform initiative, and outlined my position in my newsletter from two weeks ago. What’s Happening With The State Of The Union? Some of the folks at my town halls were concerned that the State of the Union was going to be cancelled entirely. As you may know, while it was postponed as a result of the government shutdown, it was thankfully rescheduled for tomorrow night (apologies to those who were hoping to catch the season finale of This Is Us). I will be honored to welcome as my guest at the State of the Union Chairman Leonard Forsman of the Suquamish Tribe. Chairman Forsman and other tribal leaders from our region have been great partners as we’ve worked with the US Commission on Civil Rights on a new report entitled Broken Promises: Continuing Federal Funding Shortfall for Native Americans. While President Trump gives the State of the Union, I will hope that he takes a few minutes to comment on the state of affairs in Indian Country. Far more needs to be done to address the significant inequities facing Native American communities. As always, my favorite part of the job is meeting all of you. But, before I get into the highlights from the past couple weeks, I want to make a quick announcement: If you’re a resident or business owner in the region that was affected by the Kitsap County Tornado, you may be eligible for federal assistance. If you’re interested in hearing more details, please reach out to Cheri from our team in the Bremerton office. You can reach her at 360-373-9725. 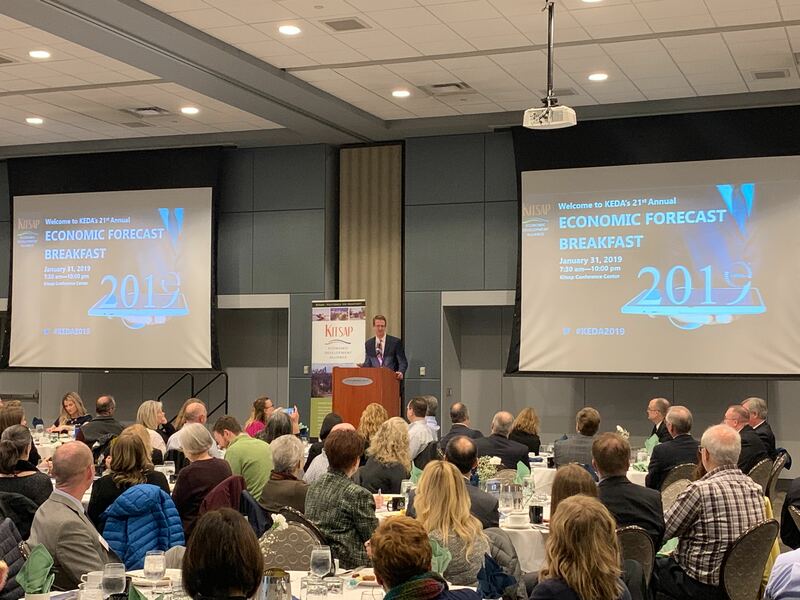 Last week, I had a great time speaking at the Kitsap Economic Development Alliance’s Economic Forecast Breakfast about the good things happening in our region and ways Congress can support local businesses in Kitsap County. Keep up the great work and count me as your partner! 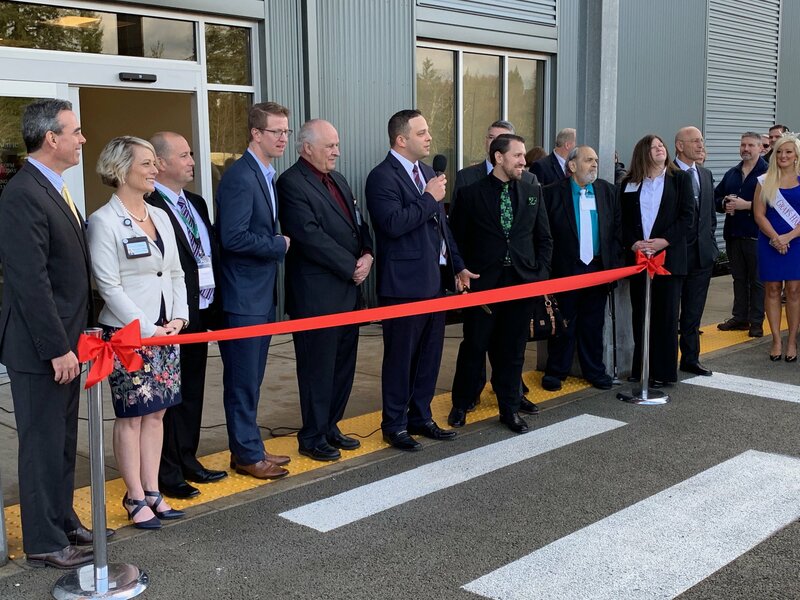 I cut the ribbon at Summit Pacific Medical Center's brand new wellness center. Not only will this center help keep our community healthy, but it represents a transition to the preventive care model envisioned in the Affordable Care Act. Ideally, our nation’s healthcare system will continue to focus on keeping people healthy on the front-end - rather than just treating folks after they get sick. That’s good for our families - and will make healthcare more affordable. 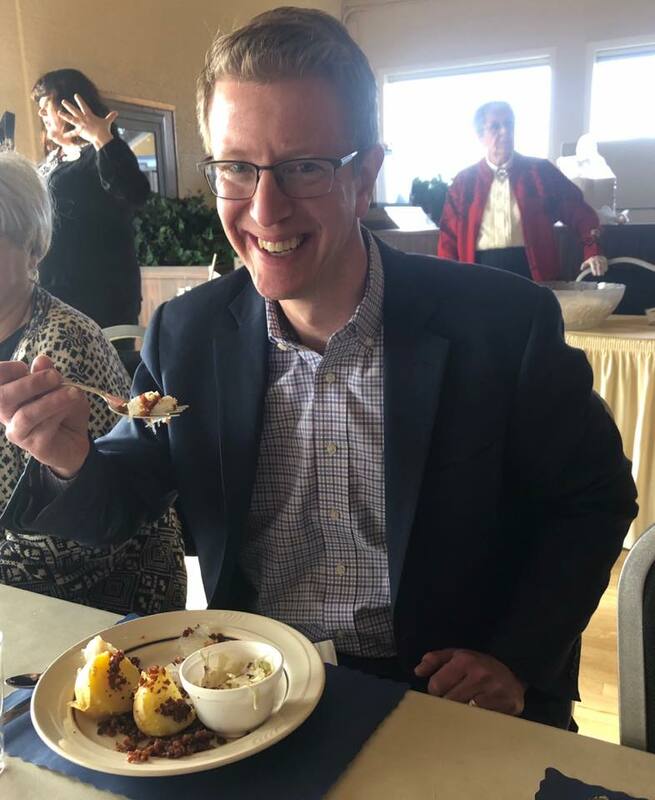 Yes - I ate lutefisk. And yes - I covered it with bacon bits. Thank you, Poulsbo Sons of Norway. OK... That’s it for this update. As always, please remember - I WORK FOR YOU. If my office can ever lend a hand, please don’t hesitate to holler. I’m honored to represent you.